Standards: confirm to german , european norm cen/tc 307, international standard organization iso/tc 34/sc11, international food standards of united nations, fao codex alimentarius codex stan 210-1999 standard for named vegetable oils or standard of production country. Quality: fit for human consumption, free from foreign matter, any other oil or animal fats. Color (51/4 lovibond): yellow 30, red 3 maximum, light yellow, clear and transparent. Odor: neutral odor, without an artificial odor additive. Visibility: without any deposition and blurriness. Taste: neutral. Mushroom, green chilly, tomato, potato, pumpkin, carrot, bean, cabbage. Short on time? Let vegitable sellers contact you. Exporeters of okar (lady finger), gavar and fresh vegetables. Stainless steel blade Fast cutting East use. Color box packing and then in master carton. 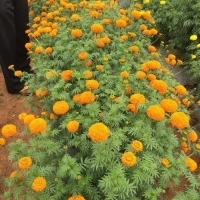 Yantai I.G Produce Co., Ltd.
Supplier/ exporter of farm fresh vegetables like Ginger, turmeric, garlic, red pumpkin (kumara), Potato and other green vegetables and tejpatta. We can provide wheat to the importers but fob as per quantity desired by importer. Payment through confirmed LC payment on submission of bill. If wheat is needed by importers act immediately. 5kgto 40 kg as desired by importer.